TRIPOLI: A truck packed with African migrants crashed near the Libyan town of Bani Walid on Wednesday, leaving at least 19 dead and nearly 80 injured, officials said. 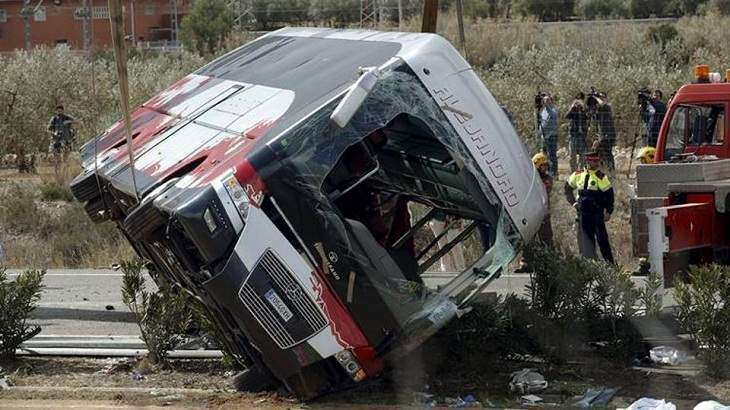 Bani Walid hospital manager Mohamed al-Mabrouk said the truck had flipped over about 80 km (50 miles) south of Bani Walid. At least 78 people had been injured, eight of them seriously, he said. Among the victims were Somali and Eritrean nationals, said a military source, who put the death toll at 25. Bani Walid, located south of Tripoli, is a hub for smugglers who bring sub-Saharan migrants by road from neighbouring countries up toward Libya’s Mediterranean coast. They are often held and transported in brutal conditions, passed between smugglers who take payments for different stages of the journey and extort money from migrants. From northern Libya, many of the migrants attempt to cross to Italy in flimsy inflatable dinghies.